Ever dreamed of owning your own classic Land Cruiser? This is where many of those dreams begin — with potential. 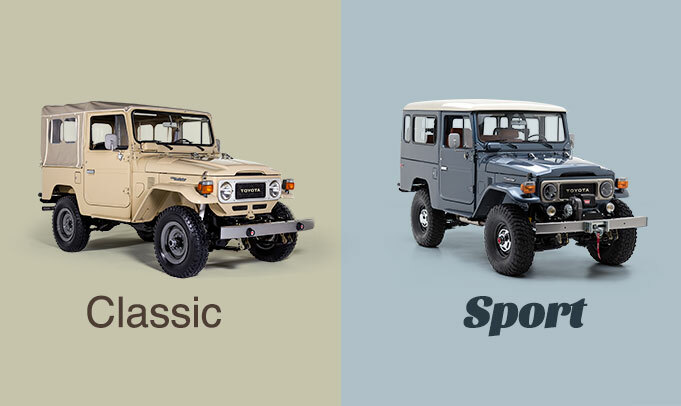 Every Land Cruiser you see here was hand-picked by our team of experts. We limit our selection to those with minor rust and good structural integrity — authentic Land Cruisers equipped with original engines and gearboxes. Once we have a solid foundation, we can build just about anything. We can work with one of the vehicles you see here, or we can source the Land Cruiser of your dreams. Just contact us and let us know what you’re looking for. Note: These Land Cruisers are not for sale as-is. They are only available as restorations.